Please note that the content of this book primarily consists of articles available from Wikipedia or other free sources online. Jaime Ray Newman is an American actress. 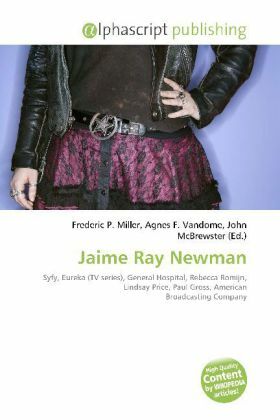 Newman is best known for starring as Dr. Tess Fontana, a special guest star in Season 3.5 Syfy''s Eureka. She is also known for her portrayal of Kristina Cassadine on the American soap opera General Hospital, and alongside Rebecca Romijn, Lindsay Price and Paul Gross as Kat Gardener in ABC''s 2009 serialization of Eastwick.